Choosing an assisted living facility is one of the most important decisions you’ll make as you, your parent, or your loved one ages. At Carriage Hill Assisted Living, it’s our passion to provide a home for you and your loved ones. Our New Hampshire assisted living facility is family-owned, and intentionally small in order to provide individualized care and attention to each resident. 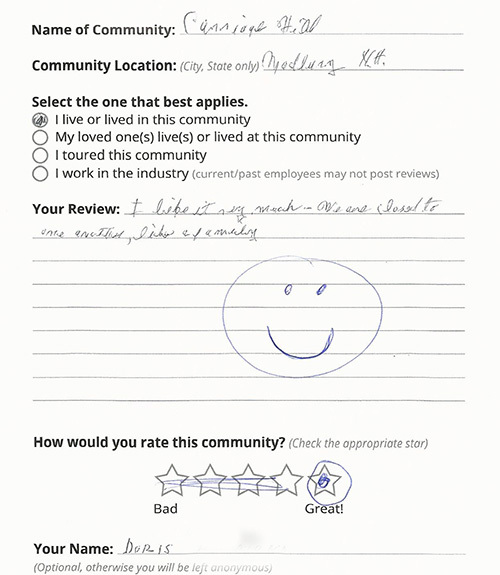 The relationships that we cultivate with our residents continue to be a source of inspiration and fulfillment for us. 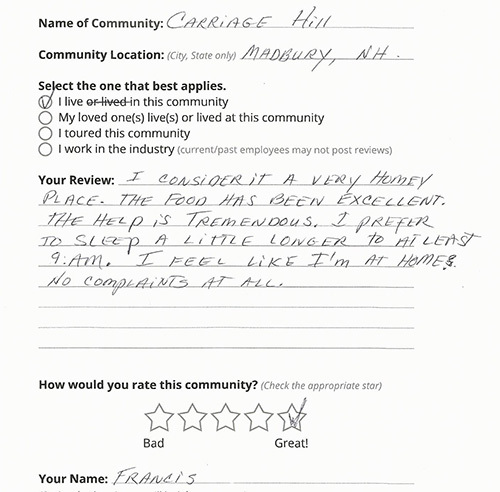 On your journey to finding assisted living in NH, reviews and testimonials from seniors and their families are an invaluable resource. 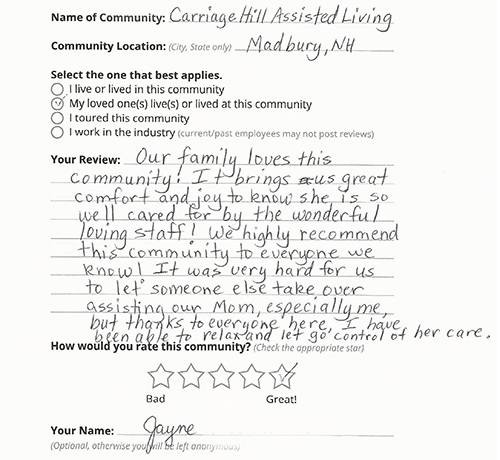 We welcome you to take a look at what some of our residents and their families have shared about their experiences at Carriage Hill.